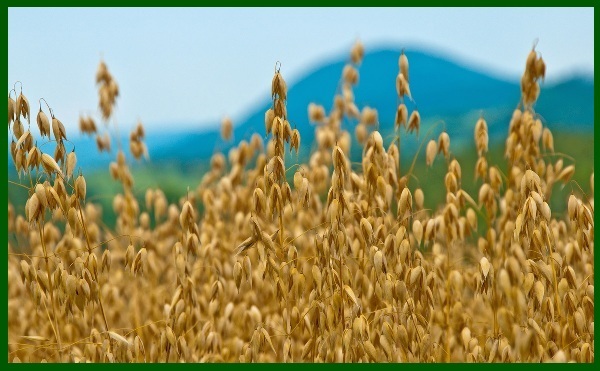 Oats have been cultivated for two thousand years in various regions throughout the world. 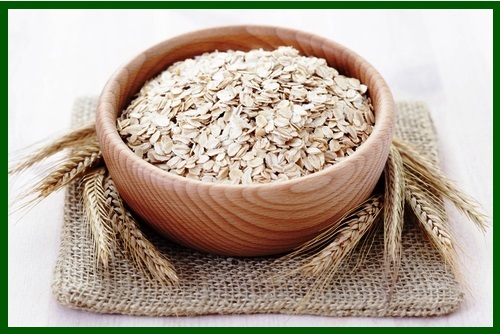 Before being consumed as a food, oats were used for medicinal purposes, a use for which they are still honored. The growing of oats in Europe was widespread, and oats constituted an important commercial crop since they were a dietary staple for the people of many countries including Scotland, Great Britain, Germany and the Scandinavian countries. In the early 17th century, Scottish settlers brought oats to North America. Today, the largest commercial producers of oats include the Russian Federation, the United States, Germany, Poland and Finland. Oats, known scientifically as Avena sativa. They are a hardy cereal grain able to withstand poor soil conditions in which other crops are unable to thrive. Their fortitude seems to be transferred to those who consume this nutrient-rich grain. Oats gain part of their distinctive flavor from the roasting process that they undergo after being harvested and cleaned. 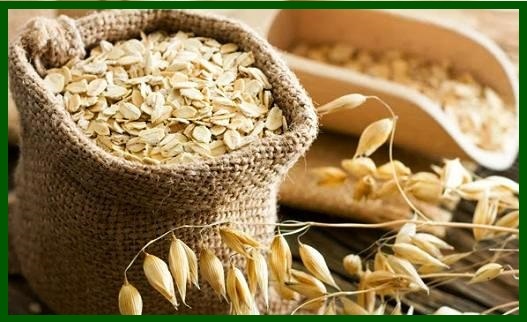 Although oats are then hulled, this process does not strip away their bran and their germ allowing them to retain a concentrated source of their fiber and nutrients. 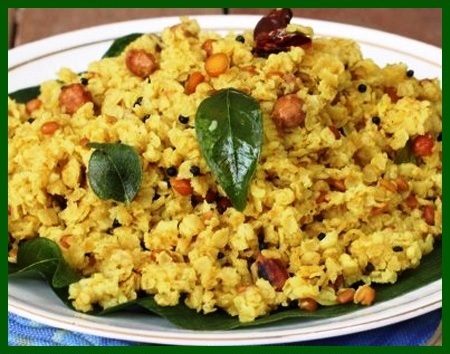 Different types of processing are then used to produce the various types of oat products, which are generally used to make breakfast cereals, baked goods and stuffing. 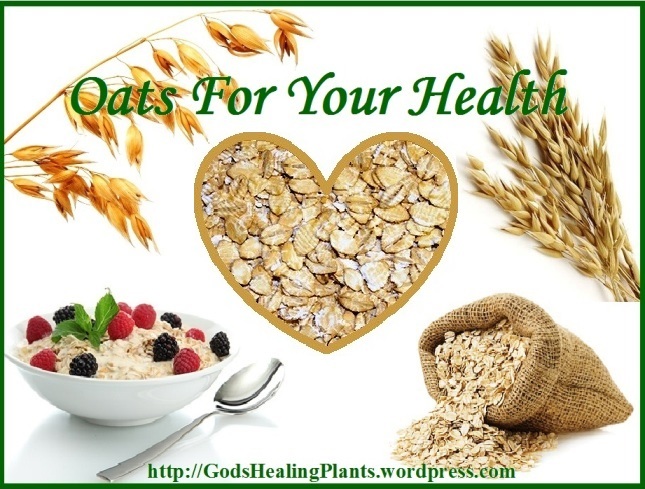 Oats are an excellent source of manganese and molybdenum. They are also a very good source of phosphorus as well as a good source of copper, biotin, vitamin B1, magnesium, dietary fiber, chromium, zinc, and protein. Alternative for Gluten-free Diet: Adults and children who have celiac disease cannot eat gluten, but studies show that they can eat oatmeal although it contains a small amount of gluten. Blood Pressure: A daily serving of whole oats rich in soluble fiber can reduce hypertension, or high blood pressure, and so reduce the need for anti-hypertensive medication. 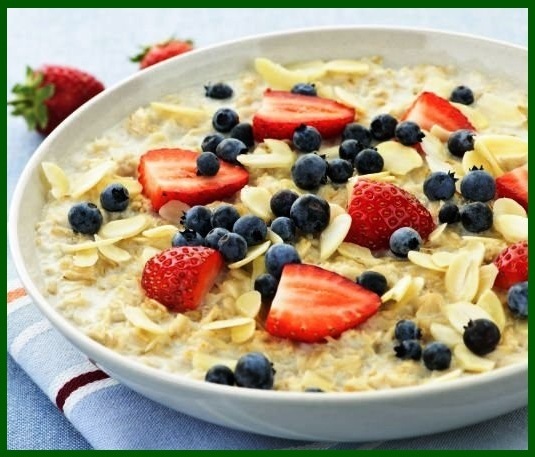 Boosts Energy: Oatmeal is a carbohydrate and protein-rich source that provides calories and energy. Foods like oatmeal tend to cause a slow rise in glycemic levels, which is ideal for increasing fat-burning during exercise. 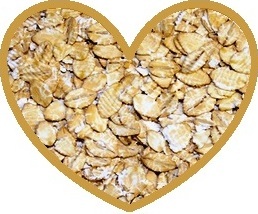 Cholesterol and Heart: Oatmeal and oat bran are significant sources of dietary fiber and contains a special type of antioxidant called avenanthramide. Avenanthramides fight off free radicals that attack high-density lipoproteins, or HDL, which is known as the good cholesterol. They also protect LDL cholesterol from oxidizing from copper, which reduces the risk of developing cardiovascular disease. The accumulation of cholesterol is implicated in many types of cardiovascular disease. Oats, like all cholesterol-lowering agents, are most effective when consumed as part of a low-fat, high-fiber diet along with an adequate amount of exercise. 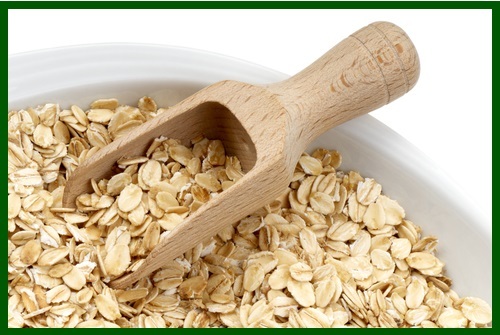 Prevents Diabetes: Oatmeal’s low glycemic index is beneficial when it comes to reducing the risk of diabetes. This helps the stomach empty its contents slowly, which affects blood sugar levels and has a positive effect on our insulin sensitivity. Protects Skin: This power food has been used as a soothing agent to relieve itch and irritation while also providing an array of benefits for the skin. Oatmeal is able to normalize the skin’s pH, which can relieve itchy and uncomfortable skin. Reduces Colon Cancer: A high-fiber diet can be beneficial when it comes to reducing the risk of colorectal cancer. Its soluble fiber and insoluble fiber can help speed up the passage of food and waste. Supports Weight Loss: Oatmeal is an appetite suppressor that can be an integral part to any weight loss diet. Cholecystokinin, a hunger-fighting hormone, is increased with the oatmeal compound beta-glucan. 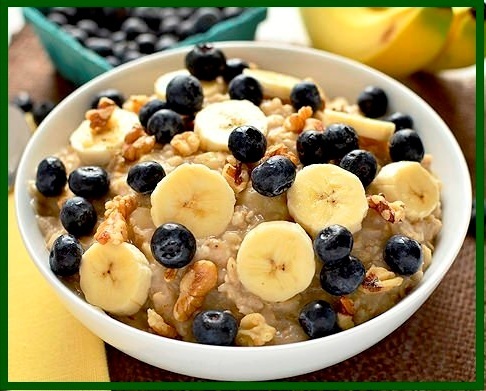 Oatmeal is rich in soluble fiber, which can help anyone feel fuller for longer, as it takes a long time to digest. This keeps hunger at bay, which can help you stay slim. Buy small quantities of oats at one time since this grain has a slightly higher fat content than other grains and will go rancid more quickly. Oats are generally available in prepackaged containers as well as bulk bins. Just as with any other food that you may purchase in the bulk section, make sure that the bins containing the oats are covered, free from debris and that the store has a good product turnover so as to ensure its maximal freshness. Smell the oats to make sure that they are fresh. Whether purchasing oats in bulk or in a packaged container, make sure there is no evidence of moisture. If you purchase prepared oatmeal products such as oatmeal, look at the ingredients to ensure that the product does not contain any salt, sugar or other additives. Store oatmeal in an airtight container in a cool, dry and dark place where they will keep for approximately two months or longer depending on conditions. Different types of oats require slightly different cooking methods. 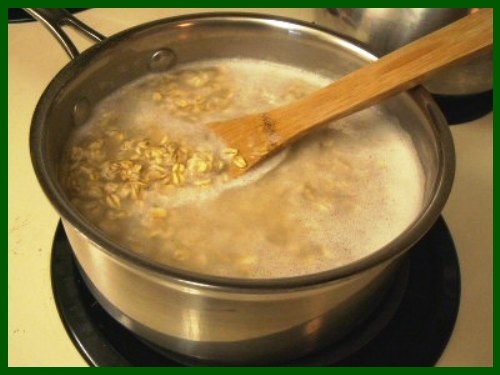 For all types, it is best to add the oats to cold water and then cook at a simmer. The preparation of rolled oats and steel-cut oats require similar proportions using two parts water to one part oats. Rolled oats take approximately 15 minutes to cook while the steel-cut variety takes about 30 minutes. Check the label for cooking instructions. 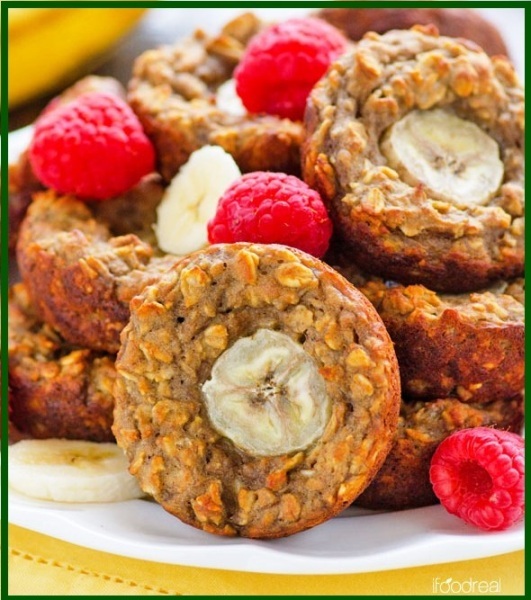 You can basically add oats to any recipe you like. 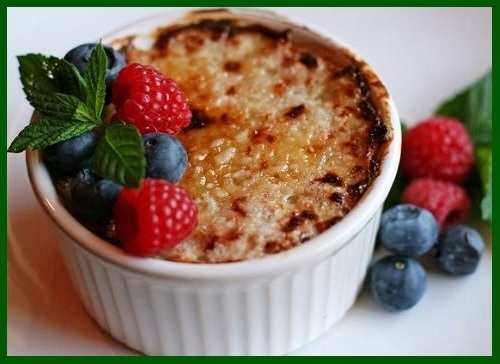 You can add them to stuffing, casseroles, breads, cookies and you can eat them soaked or cooked as a breakfast cereal. 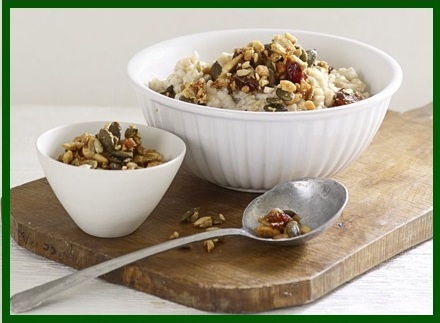 A great way to start your day—add your favorite nuts and fruits to a piping hot bowl of oatmeal. 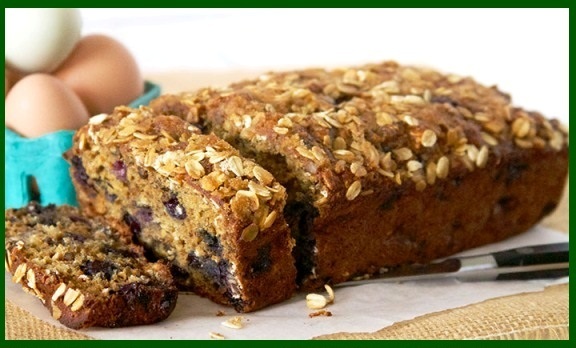 Add oat flour or whole oats the next time you make bread or muffins. 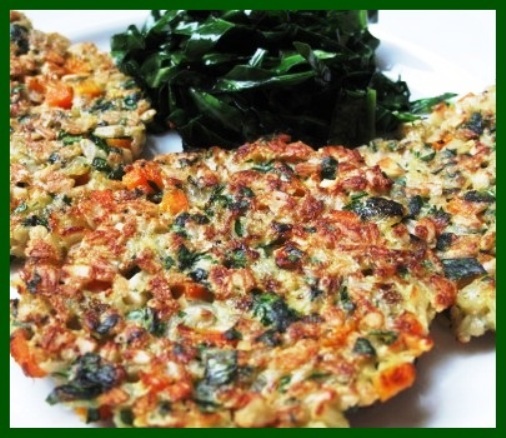 Prepare oat pancakes with kale or spinach, sautéed onions & carrots, eggs, and parsley. 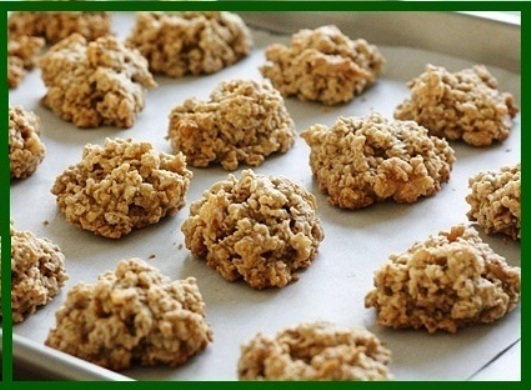 Oatmeal cookies are a favorite for kids of all ages. 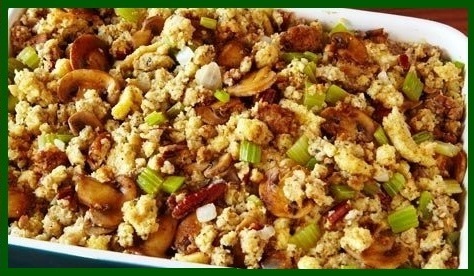 Oats make a great basis for stuffing. Anderson JW. Whole grains and coronary heart disease: the whole kernel of truth. Am J Clin Nutr. 2004 Dec;80(6):1459-60. 2004. PMID:15585755. Bazzano LA, He J, Ogden LG, Loria CM, Whelton PK. Dietary fiber intake and reduced risk of coronary heart disease in US men and women: the National Health and Nutrition Examination Survey I Epidemiologic Follow-up Study. Arch Intern Med. 2003 Sep 8;163(16):1897-904. 2003. Cade JE, Burley VJ, Greenwood DC. Dietary fibre and risk of breast cancer in the UK Women’s Cohort Study. Int J Epidemiol. 2007 Jan 24; [Epub ahead of print] . 2007. PMID:17251246. Chen CY, Milbury PE, Kwak HK, Collins FW, Samuel P, Blumberg JB. Avenanthramides phenolic acids from oats are bioavailable and act synergistically with vitamin C to enhance hamster and human LDL resistance to oxidation. J Nutr. 2004 Jun;134(6):1459-66. 2004. PMID:15186945. Cleland JG, Loh H, Windram J, et al. Threats, opportunities, and statins in the modern management of heart failure. Eur Heart J. 2006 Mar;27(6):641-3. 2006. PMID:16490737. Hogberg L, Laurin P, Falth-Magnusson K, Grant C, Grodzinsky E, Jansson G, Ascher H, Browaldh L, Hammersjo JA, Lindberg E, Myrdal U, Stenhammar L. Oats to children with newly diagnosed coeliac disease: a randomised double blind study. Gut. 2004 May;53(5):649-654. 2004. PMID:15059781. Jensen MK, Koh-Banerjee P, Hu FB, Franz M, Sampson L, Gronbaek M, Rimm EB. Intakes of whole grains, bran, and germ and the risk of coronary heart disease in men. Am J Clin Nutr 2004 Dec;80(6):1492-9. 2004. PMID:15585760. Why is Nutrition Important? – Because it is a Matter of Life and Death! 1. God’s Healing Plants is not licensed as, or designed to be, a healthcare facility; therefore we do not diagnose conditions, offer medical advice, or prescribe or administer medication. 2. The nutrition and health information presented at the God’s Healing Plants Web Site is based on Scripture, research and personal experience, and is offered for educational purposes only. 3. There can be risks involved when changing diet and lifestyle; therefore, as each guest chooses to make these types of changes, God’s Healing Plants Web Site, cannot be held responsible or liable for any adverse effects or consequences that may result from your personal choices.